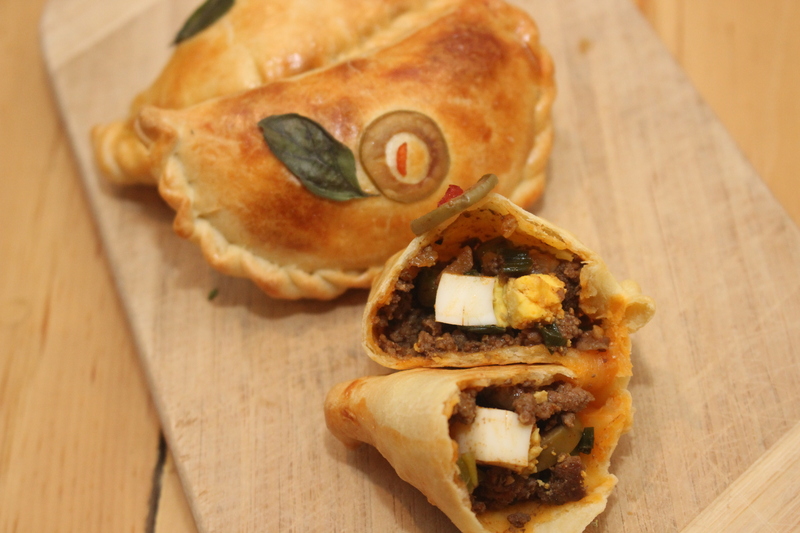 Empanadas are so easy to make. 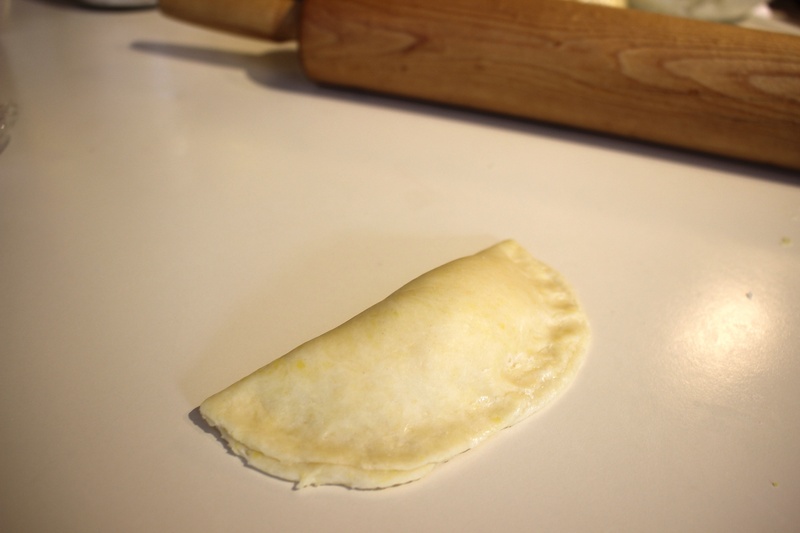 You can use any filling that you want and freeze them for when you need them. 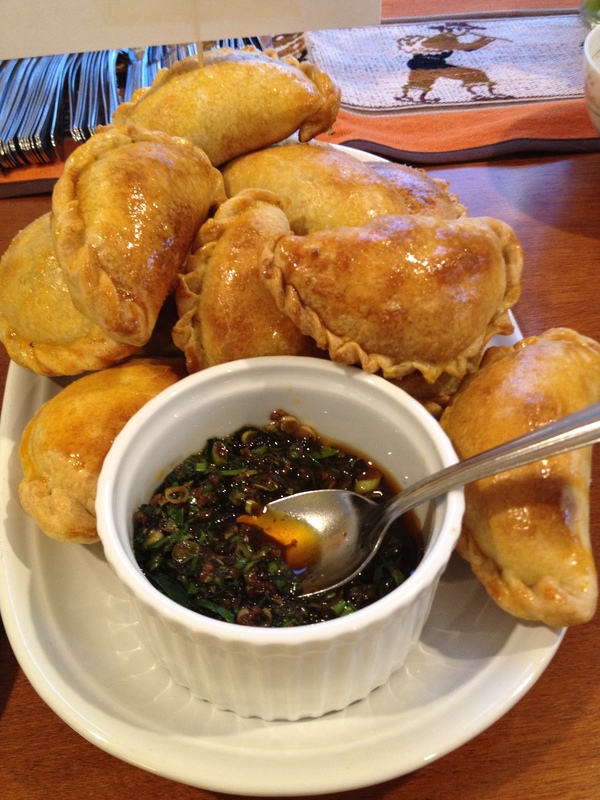 Making empanadas with my mom was a whole day process but we made 100 of them at once and we would give them away to our neighbors and family. 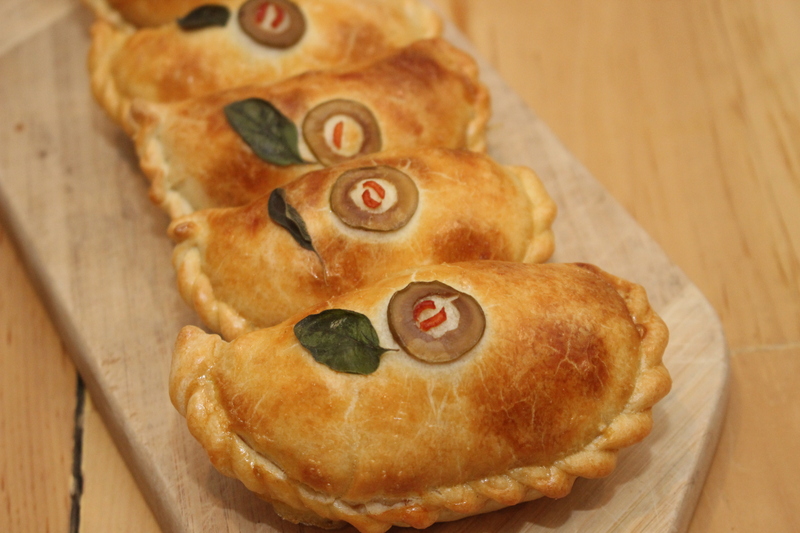 When others made empanadas, they would bring some to us. 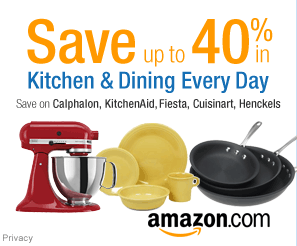 It was a great way to share food and interact with family and friends and exchange recipes. 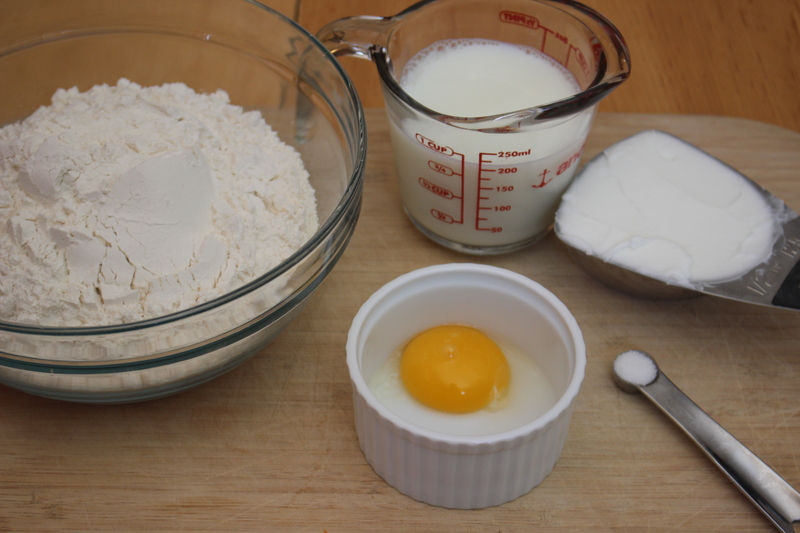 Add the egg yolk and slowly add the milk until the dough is soft. 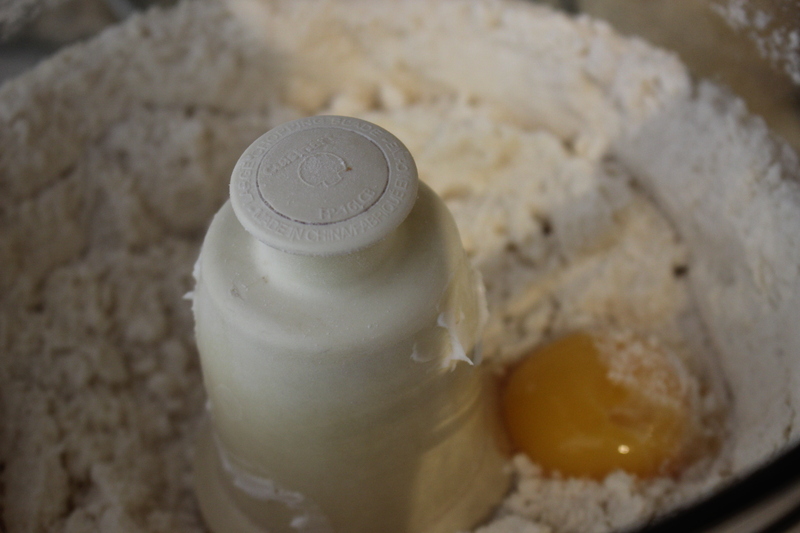 Put the dough on the table and work with your hands until dough is soft but not wet. Divide the dough in 5 portions and wrap them in plastic. Set them aside for 1 hour. 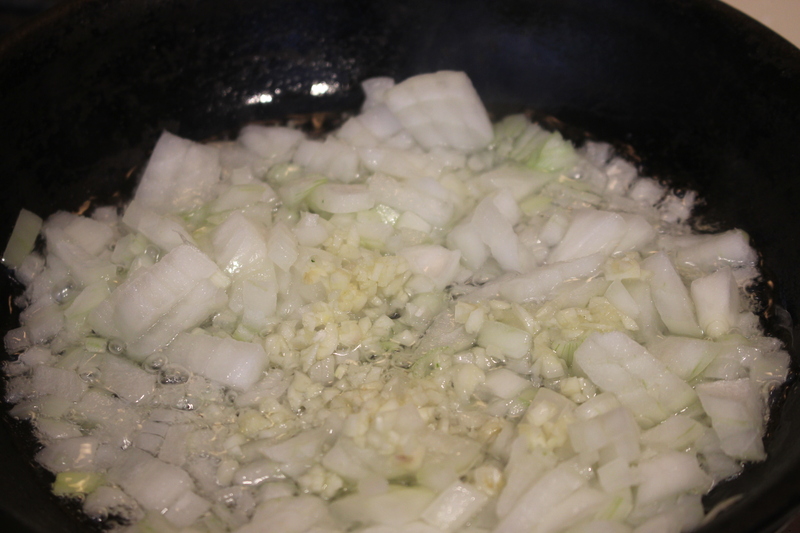 Heat the olive oil in a pan add the onion and garlic. Cook for 5 min. Add the paprika, cumin, salt and oregano. Cook for another 3 min. 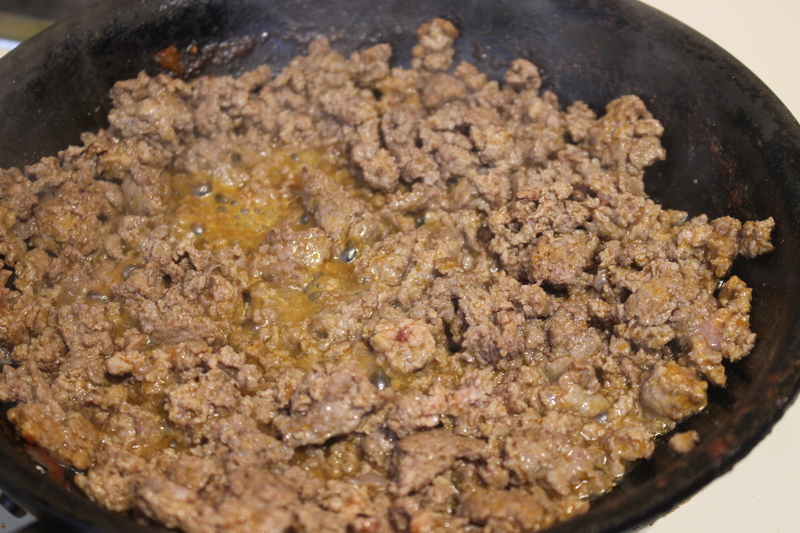 Add the meat and cook them for 5 min. Add the broth and cook until it starts boiling. 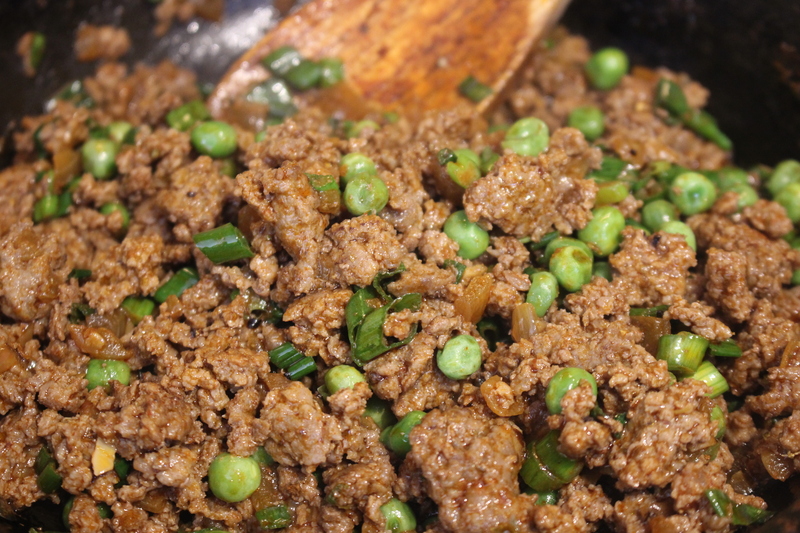 Add the peas and green onions and turn off the stove. You want the filling slightly dry but not too much. Let it chill for 1/2 hour. Cover them with plastic and let them rest for 5 min. Put the filling in the rolled dough. 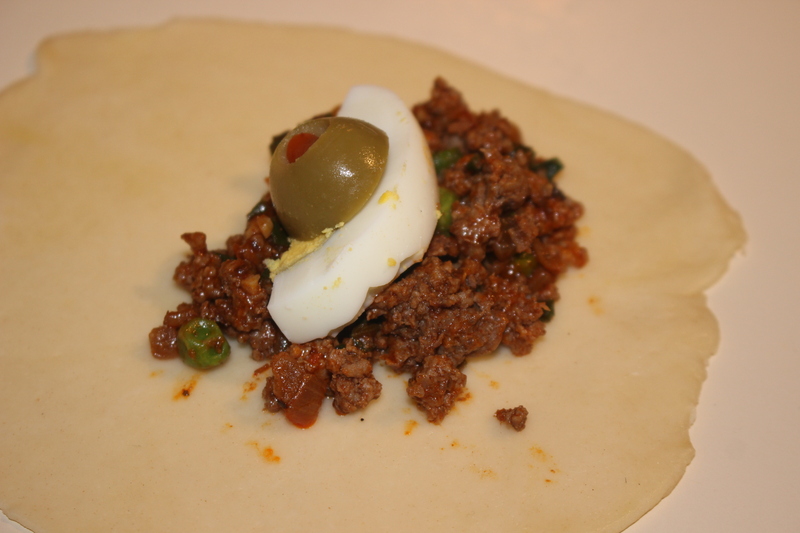 1/2 tbsp of the beef filling and add the egg and olive and cover with another 1/2 tbsp of filling. Whisk the egg and use a brush to paint each of them with the whisked egg. 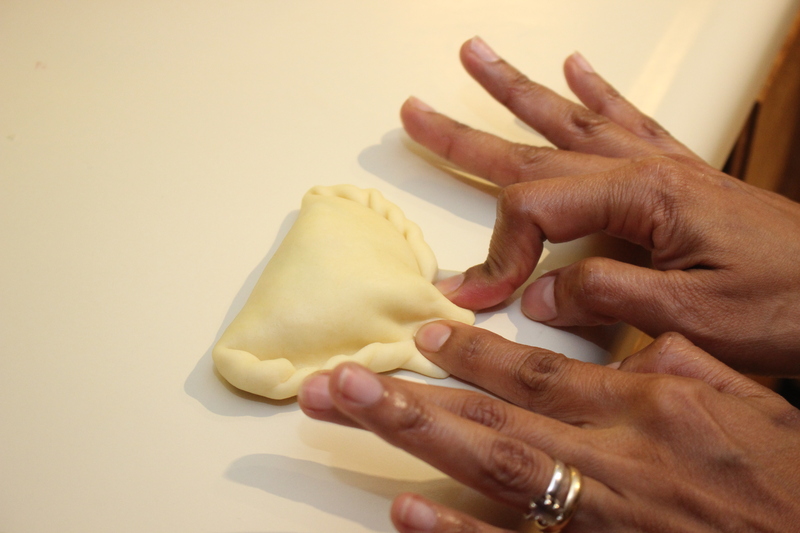 Cover the entire empanada. 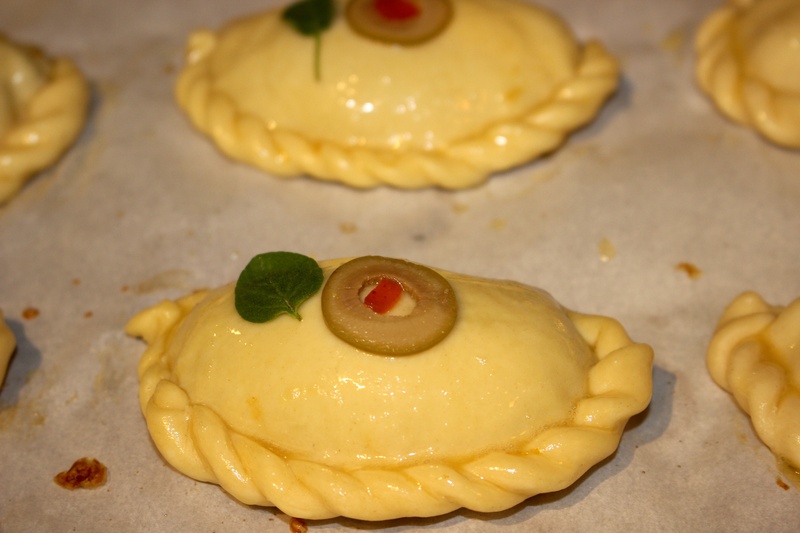 For decoration: Slice the olives very thin and place on top. If you have fresh oregano add a leaf of oregano on top. Serve warm by itself or if you want you can add the chimichurri sauce or peanut sauce. 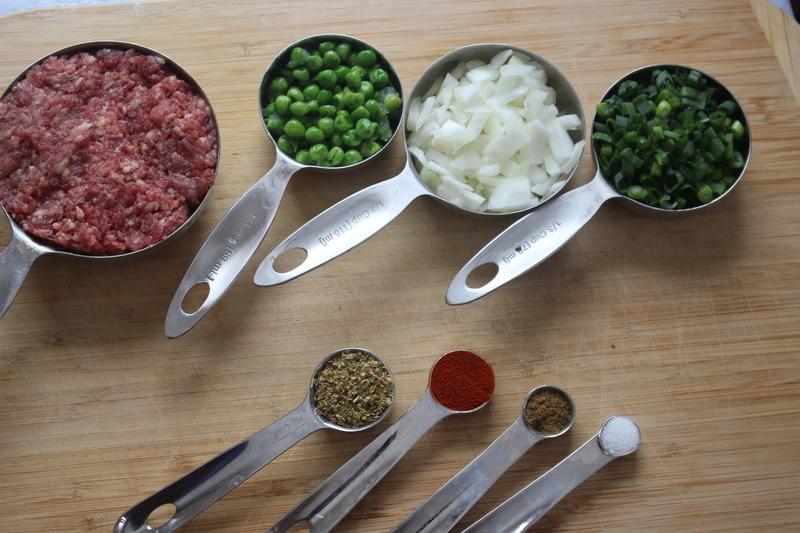 Mix all the ingredients in a bowl, cover and refrigerate. 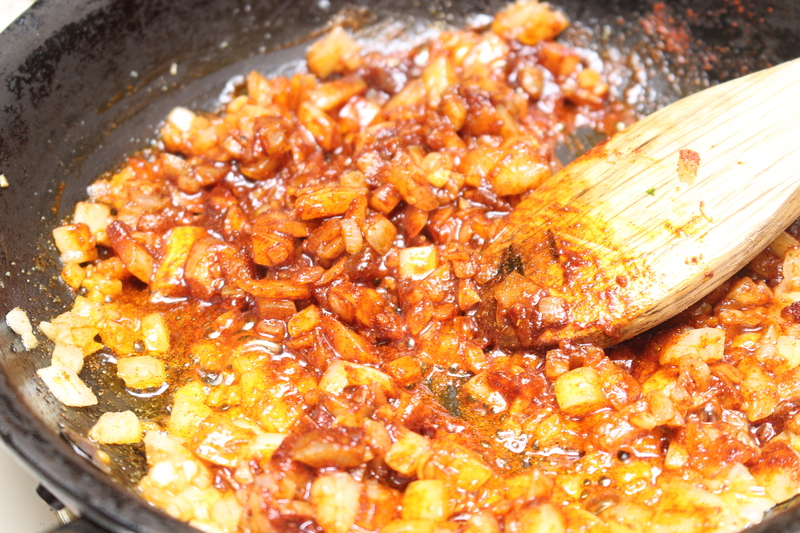 Prepare the sauce in the morning and use it by the afternoon,so the flavor will have time to mixed and marinated. Use the same day.